More than 40 percent of the companies that were at the top of the Fortune 500 list in 2000 were no longer there in 2010 (Source: Brian Solis’ Future of Business), illustrating how important innovation is in fuelling continuous growth and business sustenance in this ever-evolving, dynamic market. In the 2012 American Express Global Customer Service Barometer, more than 70 percent of those surveyed believed that small businesses understand customers better than large companies and know their service/product better than large companies. Respondents also noted that smaller companies provide a more personal customer service experience than larger companies and are more concerned about customer needs. The success of every company is dependent on its ability to create products and services that address unmet customer needs. Customer needs are increasing every day, making it very difficult to retain customers if they are not satisfied with the product/service offerings. It is six to seven times more expensive to acquire new customers than it is to retain a current one (Source: White House office of consumer affairs). A common myth in NPD is that if the new product/service is developed and rolled out to the customer, the job ends there. In reality, companies have to come up with the best fit solutions once the customer needs are known. Customers are in turn driving innovations and product development indirectly by always exploring newer horizons and better-quality experiences to get more value for their spending. The onus then falls on organizations to make decisions, prioritize, invest, innovate and drive sales more prudently by making customers co-creators in new product innovation. 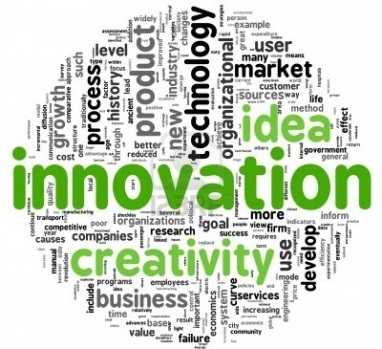 Entrepreneurs debate whether innovation comes from technology breakthroughs or customer needs. It is not purely technology and customer needs that decide innovation; we have to find out what is missing and anticipate changing customer needs. This way, technology can be aligned to fulfil customer needs with an objective of providing them ease of use. To learn more about your customer’s needs, spend time with them outside of NPD. Capturing customer needs is not an easy job. Key them in on conversations designed to capture exact customer needs via personal interviews, research, etc. Marketing activities help find customer requirements. For example, market studies tell the team the nature and urgency of customer needs, while product testing studies point out where design and manufacturing can be altered, and several marketing research techniques help us understand the trade-offs between price (cost) and product features. Only outcomes desired by customers will result in a successful innovation.